The Jefferson Midblock project provides a new walkable urban development that connects from the middle of Jefferson Street, near the Granary and Central Ninth neighborhoods, to the mass-transit TRAX line. The project includes six new 1,470 SF two-story homes, the preservation and relocation of a Victorian Era Home onto a new foundation with a basement, and an associated accessory dwelling unit (ADU) with a garage below and studio apartment above. 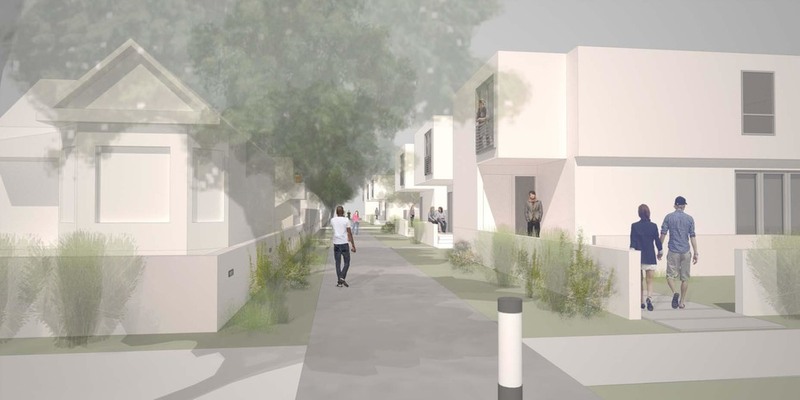 The new contemporary urban homes have both porch and balcony elements that face the walkway so that there is a visual connection for both social interaction and safety. The walkway includes a 6’ wall element at one side with integrated recessed lighting and light bollards at the entry points, and with landscape buffers at each side with trees, shrubs, and other drought-tolerant landscape elements. 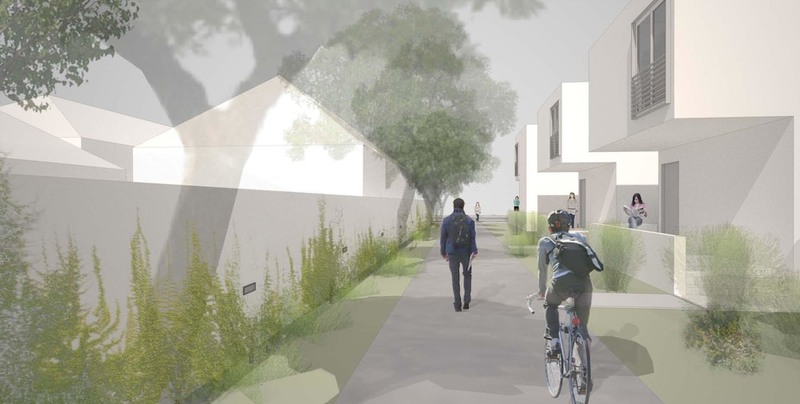 Parking for the homes occurs at a central point, providing for the residents to walk along the path to their home entry, and promoting the idea of movement and activity along the walkway. 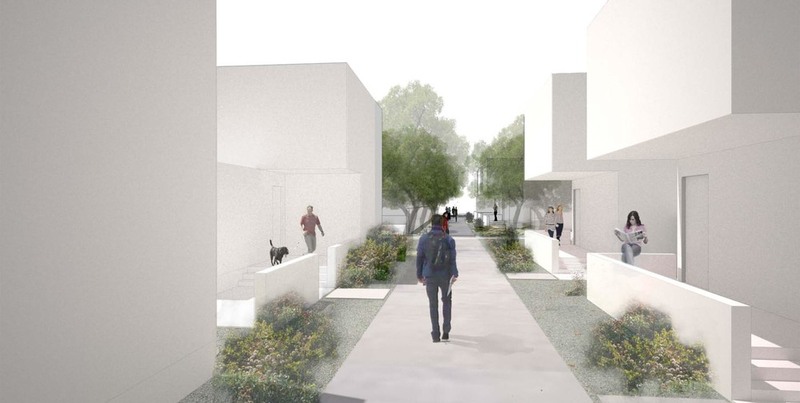 The Sparano + Mooney Architecture team helped the developer and the City’s Redevelopment Agency (RDA) visualize the potential of the project within the constraints of the site and considering design, aesthetic, compatibility, budget, and zoning requirements and challenges.